The Germans came to England to kick some balls. Bayern kicked better! A night of German football in the heart of London… What!? For the first time ever two German teams faced each other at the UEFA Champions League final – Bayern Munich and Borussia Dortmund. The cool thing is that this happened at Wembley Stadium, which is considered the symbol of English football. And we know how serious the English are about their football. As a quick side note, we are talking about the football that is played with a round ball and guys in shorts and T-shirts try to kick it through a goal. This game is also known as soccer. The “other” football is played mainly in North America with an oval-shaped ball and guys dressed like warriors try to carry it through an imaginary plane. This game is called American football in the rest of the world. 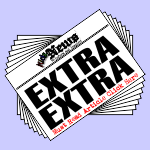 See if you can find any articles in KidzNews about that game (hint: Super Bowl). After losing to Internazionale in 2010 and to Chelsea a year ago, Bayern Munich finally won the UEFA Champions league this Saturday night! They beat their rival, Borussia Dortmund, with a score of 2:1. What’s the big deal with this final? 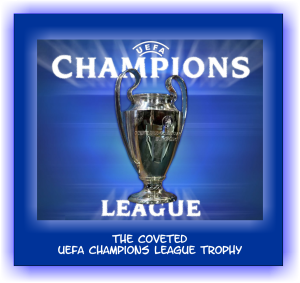 Well, the big deal is that the UEFA Champions League, or as most people call it – The European Cup, is the biggest annual European club football competition. It is organised by UEFA (the Union of European Football Associations). It is considered as one of the most prestigious tournaments in the world and the most prestigious club football competition in Europe. Tell me a bit more about this cup? The first edition of the European Cup took place in 1955. Only 16 teams participated. The first European Cup match took place on 4 September 1955, and ended in a 3:3 draw between Sporting CP and Partizan. The first final took place at the Parc des Princes between Stade Reims and Real Madrid. The Spanish team, Real Madrid, won 4:3. What about the teams this year? 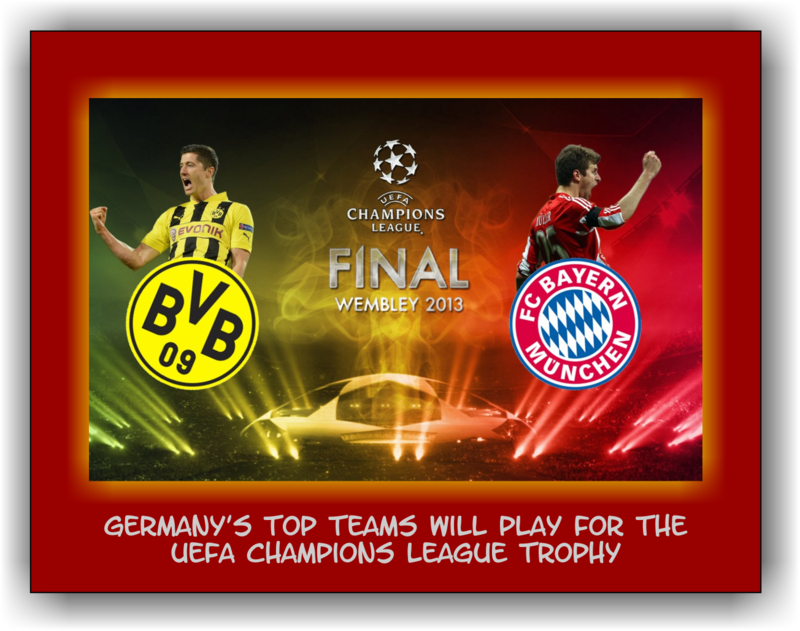 Both teams FC Bayern Munich and Borussia Dortmund play in the Bundesliga. The Bundesliga is the top league in German football. 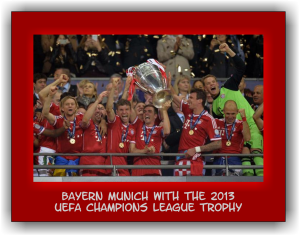 Bayern is the favoured team as it is the most successful football club in Germany, having won a record 23 national titles and 15 cups. Borussia Dortmund is currently Germany’s number 2 team. 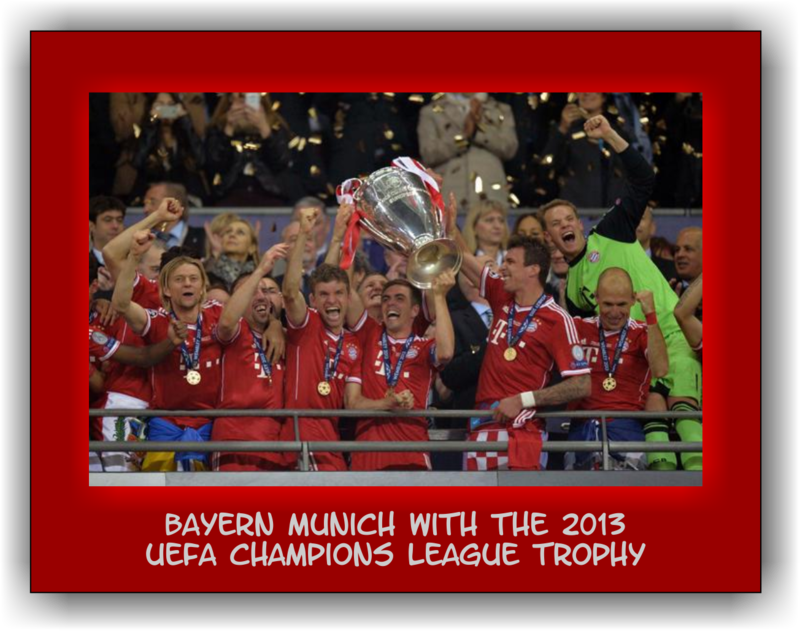 Bayern have played in 10 European Cup finals – they won 5 and lost 5, which is a fifty percent winning record. Borussia Dortmund also now has a fifty-percent record, but they won 1 and lost the 1 tonight. The final of the 2011 tournament was the most-watched UEFA Champions League final to date with almost 180 million television viewers. This is the fourth UEFA Champions League final between teams from the same country. Real Madrid beat Valencia CF in 2000, Milan overcame Juventus in 2003, and Manchester United FC beat Chelsea FC in 2008. It’s the second final in three years to be played at Wembley Stadium due to it being the 150th anniversary of the English soccer association. This is the seventh time the famous stadium has held the final. No player has scored a hat-trick (3 goals) in a UEFA Champions League final. Enjoy a promotional video for the match. Might not be available in your viewing area.